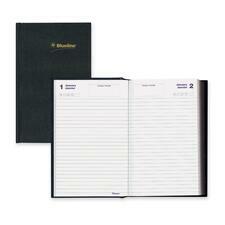 Contains a minimum of 30% post-consumer recycled material.Daily.2 pages per day.6 holes.6-3/4" x 3-3/4". 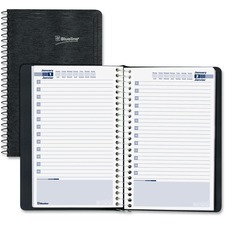 Blueline NotePro Daily Planner, 11 x 8-1/2"
Sewn bound.Flexible cover.1 week per 2-page spread.8:00 a.m. to 9:00 p.m. in 1/2 hour intervals.Detachable booklet.6-1/4" x 6-1/4".English. Sewn bound.Flexible cover.1 week per 2-page spread.8:00 a.m. to 9:00 p.m. in 1 hour intervals.Detachable booklet.6" x 4".English. 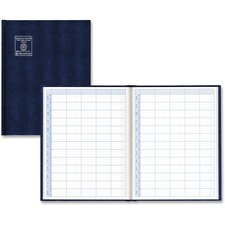 Sewn bound.Flexible cover.1 week per 2-page spread.8:00 a.m. to 9:00 p.m in 1/2 hour intervals.Detachable booklet.9-1/2" x 6-1/4".English.